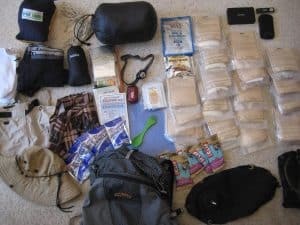 Tahoe Rim Trail Thru-Hike in 5 Days? 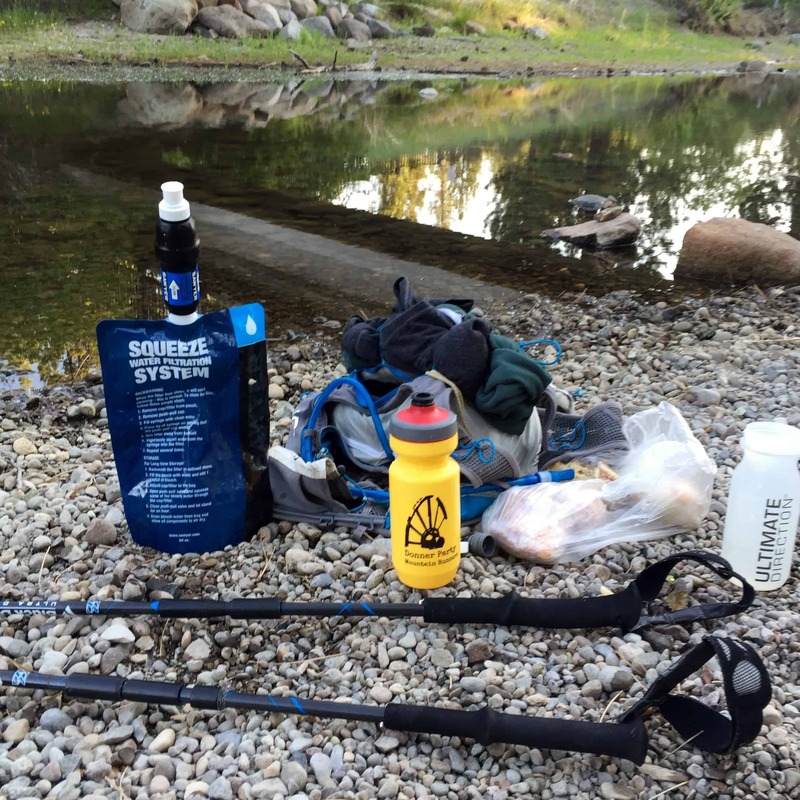 This week’s Adventure of the Week is brought to you by the amazing Jim Hammerel, who’s about to attempt an epic Tahoe Rim Trail thru-hike on August 3. Tahoe Mountain Sports is supporting his endeavor, which benefits the Tahoe Rim Trail Association, by donating on CrowdRise. You should too! The 15 lbs Jim's bringing on his thru-hike (not including water). I ran away from home when I was about six years old, armed with a little backpack filled with toys and a half-dozen slices of Kraft Singles. My rebellion lasted about three hours before I succumbed to boredom. Since then, I’ve always been fascinated with the conflict of man vs. nature, as well as man vs. himself. 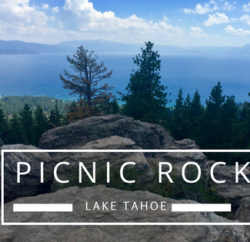 On paper, the TRT is approximately 165 miles of alpine trail that encircle the natural rim of Lake Tahoe. Most thru-hikers take a leisurely two weeks to complete the TRT’s 10 segments. My hike will differ slightly in that I will be leaving from my house in Incline Village, NV, and hiking over 2,600 vertical feet to the TRT trailhead in Tahoe Meadows, completing the TRT clockwise (and all the trails between trailheads), then hiking back down to my home five days later… hopefully. I estimate that my hike will be around 200 miles when it’s all said and done. The last time I did any sort of mentionable backpacking, I was 17 years old hiking in Grand Teton National Park. I think the most mileage I ever reached on my four-day trip was 20 miles. On my TRT thru-hike attempt, I’ll be averaging twice that — around 40 miles per day. That’s it. No tent, no stove, no dishes. Nothing other than what I need to survive for five days in the wilderness. When it comes to man vs. nature, I’m severely outgunned. Looking ahead, however, I think my biggest obstacle won’t come from the sun, lack of water or unscalable mountains. I think my adversary will be me; man vs. himself. Staying motivated, warding off thoughts of giving up and maintaining my mental edge will be the hardest part of this trip. Vince Lombardi once said, “Hurt is in your mind. If you can walk, you can run.” I’ll be reciting this over and over the first week of August. I’ve setup a CrowdRise page to collect donations for the Tahoe Rim Trail Association. If you’d like to support my attempt and help the TRT build better trails and assist with community outreach, please consider donating at www.CrowdRise.com/5DayTRT. My goal is to reach $500, and I’m over half way there. Stay tuned for Jim’s post-hike blog account shortly after he returns. Best of luck Jim! 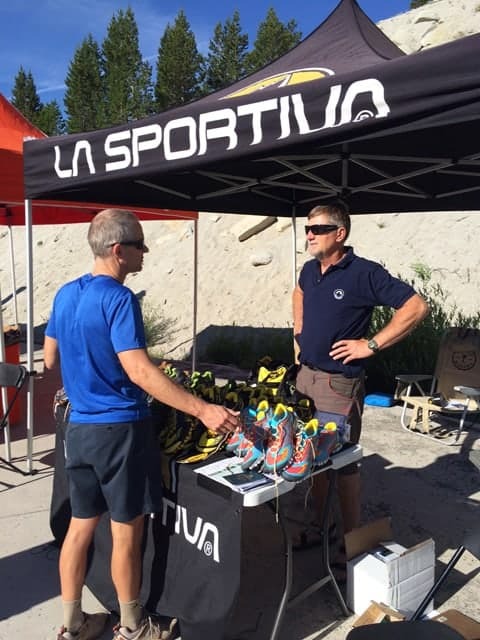 Each week, Tahoe Mountain Sports takes a walk (or hike, bike, ski, surf, climb) in someone else’s shoes, from pro athletes to local Tahoe adventurers. Let us know if you’ve got an adventure to share.